The big man is making a big impression. 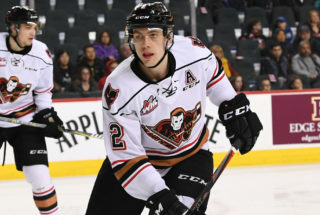 Sophomore defenceman Jackson van de Leest has caught the eye of NHL Scouts with his play, as he was named to NHL Central Scouting’s initial Players to Watch list. 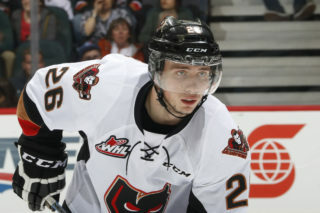 To see his name among the other top prospects from around the CHL was without a doubt a proud moment. “It’s nice to know that I’m getting noticed and I was happy to see my name on it,” he said. “It’s still early and a lot can change between now and June so I know I just need to stick to my game and continue to develop. 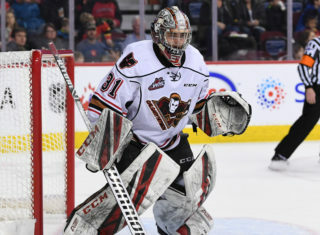 The towering 6-foot-7 220-pound defenceman was given a ‘C’ ranking on the list which indicates a fourth, fifth or sixth round pick for the upcoming 2019 NHL Draft. With eyes closely monitoring his play on a game-to-game basis, van de Leest hasn’t let that throw him off his game. “It’s always there in the back of my mind knowing that I’m being watched by them but I try and not think about it,” he said. “You are always going to have eyes watching you playing in this league and I just go out there play my game and have fun in the process. After seeing his rookie season cut short due to injury last season, nobody was itching more to get back onto the ice than he was. And, he has made quite the transition back into the lineup. 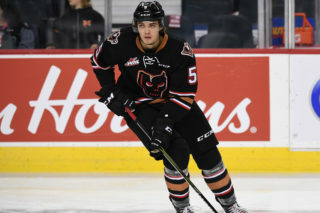 In 17 games so far this season, van de Leest has already surpassed his point total from a year ago with seven points, all assists, two of them which came Sunday night in Medicine Hat. “It was a little bit of a disappointment to miss so much time last year,” he said. “Obviously nobody wants their rookie year to be so brief but it’s in the past and there’s nothing I can change about it. With that confidence comes more opportunity and the former first-round Bantam pick has had his fair share so far this year. Whether it be on the special teams, or in crucial moments of the game, the coaching staff have called on his number when it matters most. 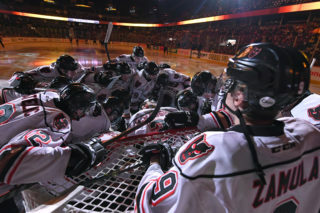 “It’s an honour to have the faith of the coaching staff and to have my hard work be rewarded,” van de Leest said. “I feel like I have a lot to give to the team and happy to have the ability to go out there and make a difference and have the opportunity to help out in any way that I can.